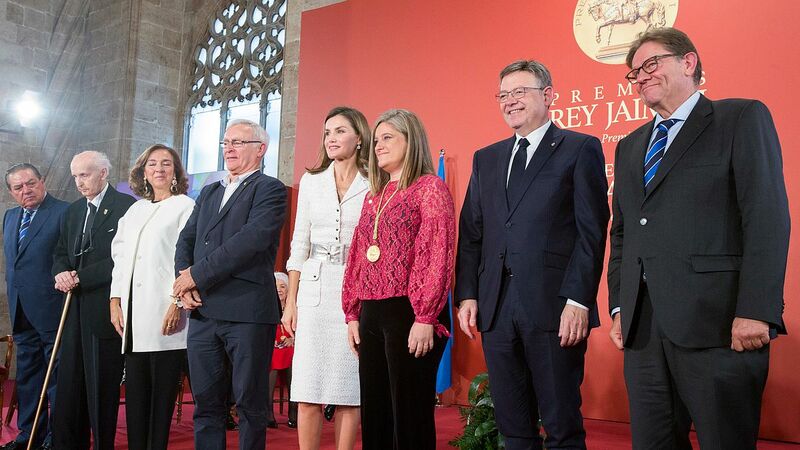 Rey Jaime I Awards Ceremony took place at Lonja de Valencia on October 30 in an event presided by HM Queen Letizia. 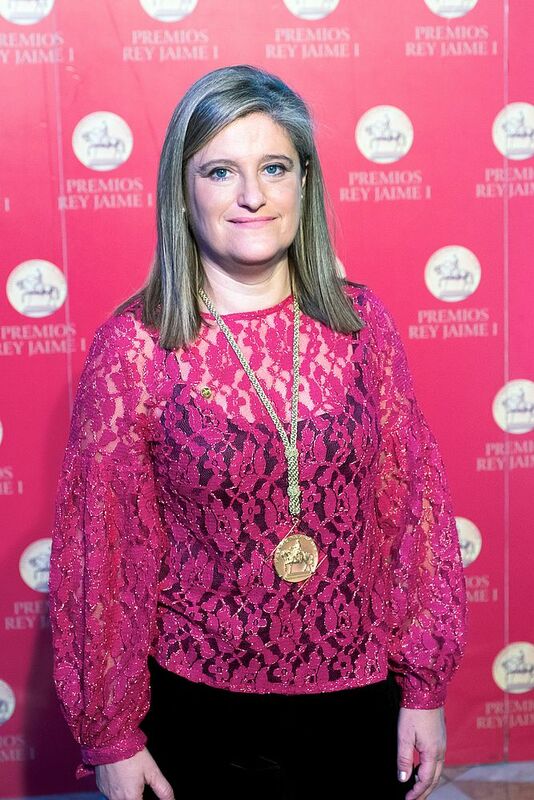 Susana Marcos received the New Technologies Award in the 29th edition of these awards that highlight the work of Spanish researchers and entrepreneurs. 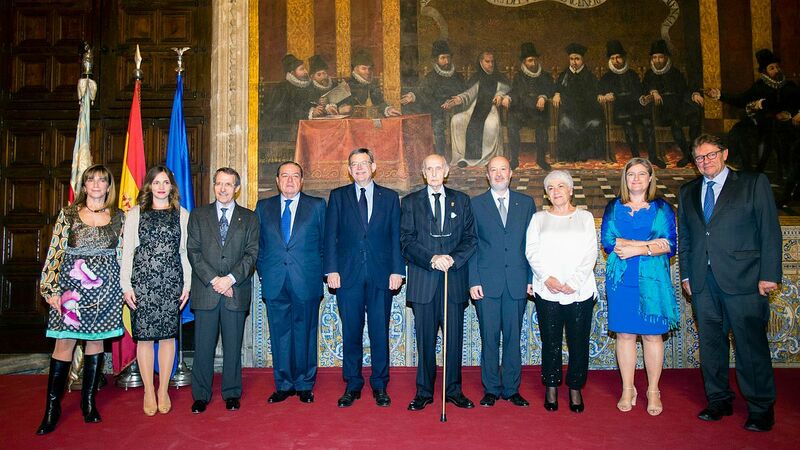 The jury for the New Technologies category, which included four Nobel Prize winners, unanimously decided to award Susana Marcos for "her important contributions to the field of physics of vision and, in particular, her studies on imaging and ocular diagnostics that had led to the development of new intraocular lenses and the detection of ocular diseases". Susana Marcos received her MS (1992) and PhD (1996) degrees in Physics from the University of Salamanca (Spain). She carried out her predoctoral research at the Instituto de Optica, Consejo Superior de Investigaciones Cientificas (IO-CSIC), Madrid, Spain, in the field of physiological optics, working on a novel technique to resolve the foveal cones in vivo. She was a Postdoctoral Research Fellow for three years at Stephen A. Burns' lab at the Schepens Eye Research Institute, Harvard University. She was recipient of Fulbright and Human Frontier Science Postdoctoral Fellowships. Prof. Marcos was the Director of IO-CSIC (2008-2012). She is currently a Professor of Research, at IO-CSIC and the Director of the Visual Optics and Biophotonics Lab, where she oversees >20 members from 6 different nationalities and multidisciplinary backgrounds (Physics, Biomedical, Optical, Biomechanical, Computer and Electrical Engineering, Visual Sciences, Ophthalmology, etc.). In the last 12 years, 14 PhD students have graduated under her supervision. Prof. Marcos is also a frequent lecturer in Masters, PhD, and CE programs. Susana Marcos has pioneered research in novel techniques to assess the optical properties of the ocular optics and the human retina. Major contributions include the development of Ocular Speckle Interferometry, Wavefront Sensing, Adaptive Optics, Quantiative Anterior Segment Optical Coherence Tomography, with applications in the evaluation, improvement and/or new developments in laser refractive surgery, intraocular lenses, and the treatment of keratoconus and presbyopia, among others. She has published more than 130 peer-reviewed publication (h=36/45 3905/6702 citations WoS/Google Scholar), and has delivered over 200 lectures in international conferences or research centers. She is an inventor in 14 families of patents, 6 licensed to industry, and is a co-founder of 2EyesVision. Her work has been recognized with numerous prestigious awards, including the Adolph Lomb Medal, awarded by the Optical Society of America, the European Young Investigator Award, from EURHORCs-ESF, and the ICO Prize awarded by the International Commission for Optics, and Honoris Causa Doctorship by the Ukraine Academy of Science and Technology, European Research Council Advanced Grant and Physics, Innovation and Technology Award from the Spanish Royal Society of Physics-Fundacion BBVA. Susana Marcos served as the Chair of the Applications of Visual Science Technical Group at the Optical Society of America, President of the Visual Sciences Committee at the Spanish Optical Society, Chair of the Visual Psychophysics and Physiological Optics of the Association of Reseach in Vision and Ophthalmology and Topical Editor in Vision Research and Biomedical Optics Express. She is also elected Fellow of the European Optical Society, of the Optical Society of America and of the Association of Research in Vision and Ophthalmology. She is an Associate Editor in Optica, a Faculty Member at the MIT M+Vision Program, has been member of the organizing committee in several international meetings and served in pannels for several funding agencies and organizations. She currently serves as an elected Director-at-Large of the Optical Society of America.